All of New York City’s boroughs have a unique character and the Bronx is no different. 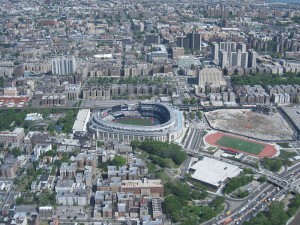 The Bronx is the most northern of the boroughs and has the largest and arguably best parks in New York City when compared with Brooklyn, Staten Island, Queens, and Manhattan. Also, the Bronx (or more specifically, 1520 Sedgewick Avenue) is the birthplace of hip-hop and rap where DJs first began experimenting with funk music and the first emcees began rapping to their beats. Although the Bronx has a history of crime and gangs from the 70s and 80s, that is very much just history. According to Crain’s New York Business, the area has seen significant increases in safety when comparing the 653 homicides in 1990 to the 65 in 2014 while business during the same time period has grown exponentially with a 305% growth in new businesses. Also, with city plans to develop more shopping districts, these numbers are to only get better. Riverdale is one of Bronx’s favorite neighborhoods. Located along the Hudson River and just north of Manhattan, you’ll find many residents that commute to Manhattan for work. Yet, the area is excellent for families with several private schools such as Riverdale Country School and The Horace Mann School that have received very high ratings. Also, the New York Botanical Garden resides in Riverdale and may be its crowning jewel. This National Historic Landmark has 250 acres of verdant landscaping with more than one million plants. With such great proximity to Manhattan, Riversdale is a pricier option for those moving to the Bronx. There are plenty of apartments for rent in the area that vary from recently-renovated luxury apartments to more traditional brownstone homes for rent. Bronx has some great amenities completely unique compared to the rest of New York. For example, Pelham Bay Park is the largest park in all of New York. With more than three times the size of Central Park with two golf courses, many trails and Orchard Beach, its twelve-mile long shoreline, Pelham Bay Park is awesome for anyone that needs to be outdoors or a pet-friendly venue for their dogs. Also, the Yankees Stadium is actually in the Bronx and living in Melrose or Highbridge will put you in walking distance. Melrose in particular is a good place to find a cheap apartments with utilities included and is also home to several low-income apartment buildings. Lovers of Italian cuisine will have to check out (or just move to) Arthur Avenue in the Belmont District in order to experience the Bronx’s “Real Little Italy of New York.” Check out restaurants like Trattoria Zero Otto Nove or Antonio’s Trattoria for some excellent Italian food or if you’d prefer to eat at home, pick up some meat at one of the local butcher shops. The Belmont District is also home to Fordham University’s Rose Hill campus which boasts one of the largest privately owned green spaces in New York. However, Bronx Park borders Belmont on its eastern side and is home to the Bronx Zoo, so there is plenty of green space for everyone. Students can expect to find apartments for relatively inexpensive prices when compared to New York’s other boroughs. There’s a good mix of apartments for rent, single-family homes, and studio apartments with all bills paid near Rose Hill for the students that want to be close to school. Morris Park is another neighborhood of the Bronx that is worth mentioning. With great diversity among its residents, it is not uncommon to hear Italian, English, Chinese or Albanian. It’s not expected, but learning to say at least say hello in each language would be a good idea since Morris Park has a strong community that likes to maintain itself and keeps its streets clean. Apartment searching in Morris Park will most likely lead you to a room in a one-, two-, or three-bedroom houses for rent, usually with spacious living areas and kitchens. If you are looking for more space in your apartment, then Morris Park is a good option. Also, many move to Morris Park to attend the Albert Einstein College of Medicine and Mercy College’s Bronx campus or to work at the Jacobi Medical Center, so you can expect a well-rounded residency ranging from families, retirees, professionals and students. Another of the Bronx’s unique neighborhoods is City Island. Somewhat isolated from the rest of the Bronx since it is only accessible by driving through the Pelham Bay Park, City Island is always worth a visit. City Island is unique and characterized by its excellent, fresh seafood eateries such as City Island Lobster House and antique stores (just right along City Island Avenue), beautiful waterfront homes, and its several yacht clubs. Although the community is small, there are still apartment renting options. To score one of these spots, you might want to try using an apartment guide (as opposed to Craigslist) since City Island has great living reviews. I loved living in this area - the best bakery in the city (Two Little Red Hens) is right here along with great grocery stores and great shopping. In addition it is easy to get around the city because of the 4,5,6. The only downsides were 2nd avenue subway construction and that it is not a great area to go out in. Lower rent more than makes up for that, though! The area is very safe and parts are fairly upscale. The apartments are generally nice. The subway is a bit of a hike, and inconvenient. It is not in a fun area. Almost always need to grab the 456 downtown. Great neighborhood just a bit of a walk from the subway. One of Marcus Samuelsson's (Iron Chef, Top Chef Masters) restaurants. The New York Times calls it "culinary mosaic of Southern, Swedish and Ethiopian comforts." Wonderful ambiance. A bit pricey. One of the "cool" new places to go in Harlem. RentLingo is your trusted apartment finder in New York City-Bronx. We hire local experts, such as former property managers and locators to anonymously tour and consistently rate and review every available place. They share their honest and unbiased perspective with you, so you know how every rental ranks in the area. Because our experts tour every property, we can offer consistent apartment ratings across every region. So unlike finding a Backpage or Craigslist rental, you can trust these apartments are verified and trustworthy: whether it's a cheap studio or a one bedroom with all utilities paid all the way up to a nice house for rent or a luxury condo.